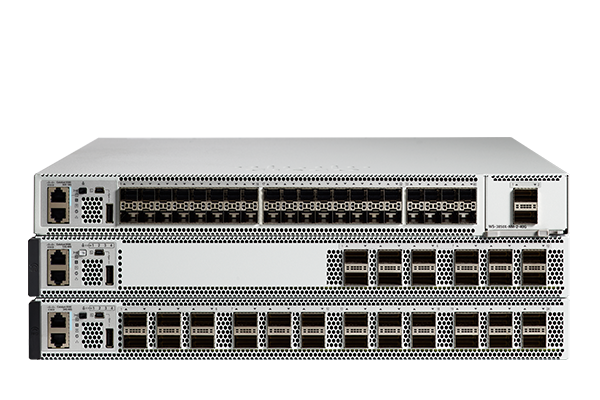 The Cisco Catalyst 9500 Series is the first 100/40-Gbps switch purpose built for the enterprise campus. It was recently recognized as CRN’s 2017 Overall Network Product of the Year. Designed for security, the Internet of Things (IoT), and the cloud, Catalyst 9500 fixed-core switches are high-density building blocks for a next-generation, intent-based network. The advanced capabilities of Catalyst 9500 switches help protect your organization before, during, and after an attack. Reduce your attack surface with Cisco trustworthy systems and MACsec ​256-bit encryption. Enhance malware detection and rapid threat containment. The series delivers IoT convergence with industry-leading scale and capabilities. You get trustworthy security; support for Audio Visual Bridging (AVB) and the IEEE 1588 standard; service discovery; and IoT classification. Simplify, help secure, and transform your cloud environment. Cisco delivers a digital-ready approach that starts at the network edge and extends to where applications reside. Choose from 24 models in the Cisco Catalyst 9500 Series.